Hi, I'm Daniel Marek, Systemios Owner & CEO. I specialise in the design & execution of growth projects & ventures, equity deals, team/company changes and innovations - using traditional business tools and latest cognitive & systemic approaches. ​Contact me to discuss how to get the best results in your specific situation. Prepare & deliver your high-value growth project to reach your goals fast. Maximise value & other important goals, prepare and get your deal done. Design & implement a growth strategy, team change & innovation. Complex growth projects & ventures, equity deals, team/company changes and innovations require the right experience - you can improve your results, increase the quality & speed of execution, and reduce costs & risks with my 25-year experience of designing & delivering complex ventures & deals. Mix & match my complexity management and innovation services to reach your goals better, faster & on budget. Get your project done thanks to my results-focused, hands-on services. Get your deal done with strategic, financial & private investors. Prepare your teams for the future with specialised services & workshops. Every company, its goals and situation are unique - let's talk about your goals for our potential cooperation. Since 1993, I've been an active owner of three companies and an advisor in complex business situations to over 100 CEOs, owners & investors of growth companies, family businesses and international corporates. If you'd like a personal reference from my clients please let me know - I will arrange it for you privately, in relation to the type of my services you are interested in. While I have deal or project experience in the following sectors, I do not claim to be sector expert in any of them. Detailed sector expertise is typically provided by the client, or by sector experts. Clients benefit from my 25-year business experience of being an entrepreneur, an institutional & private investor, business advisor, systemic innovator and Yotta Modeller. Contact me to discuss your goals, needs, timing and other requirements. 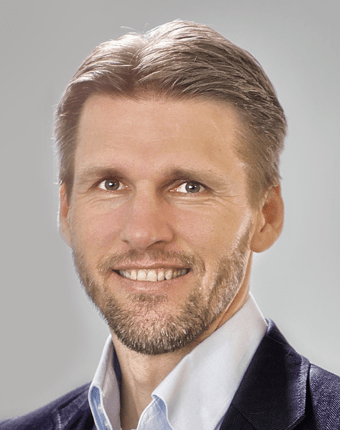 Daniel Marek (49): Founder & CEO of Systemios. I work with business owners, CEOs and investors in Europe to prepare & deliver high-value projects, strategies, deals, and business changes & transformations. © Daniel Marek 2018. All Rights Reserved.